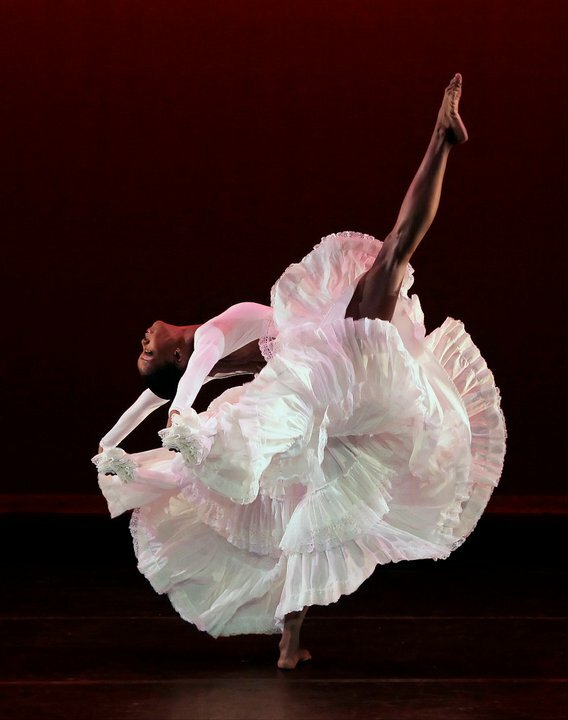 Thanks to a single phone call and fortuitous timing, Ailey dancer Alicia Graf Mack recently had the chance to participate in a video shoot for Alicia Keys’ current international tour. Ms. Mack, who can now be seen “performing” behind the R&B superstar at all of her shows, gives a behind-the-scenes glimpse at the shoot and explains why the experience means so much to her. Want to know how Alvin Ailey dancers stay so limber? 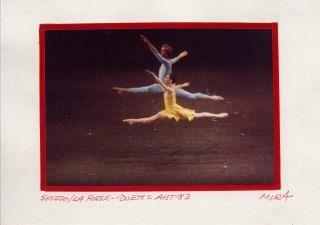 Here is a Nathaniel Tileston photo from the original cast–Merce dancing with Cathy Kerr in 1980. Another photo of “Duets,” having its San Jose Ballet premiere this weekend–Here are American Ballet Theatre’s Robert La Fosse and Christine Spizzo in 1982.